Oh, no! someone's been stealing tomatoes from the garden and there are evildoers on the loose! Who will help us? 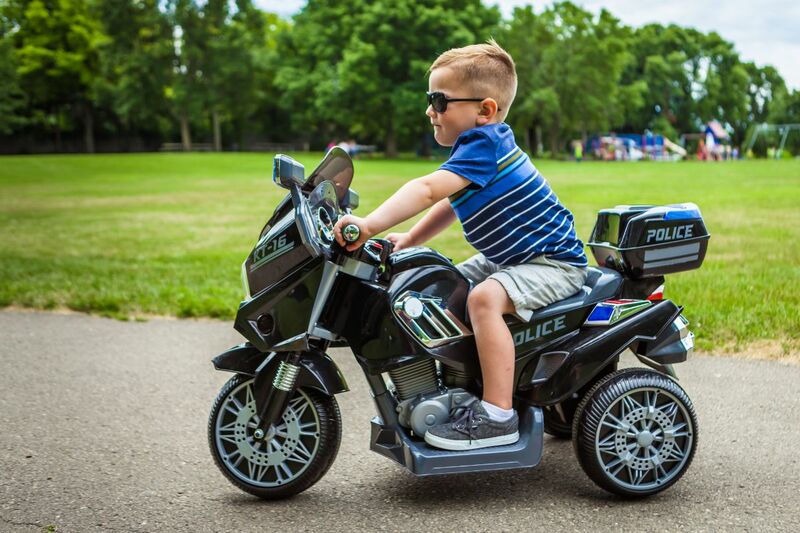 Not to fear, your little one turns into a crime-fighting police officer by hopping on the 6-volt police trike ride-on from Kid Trax! 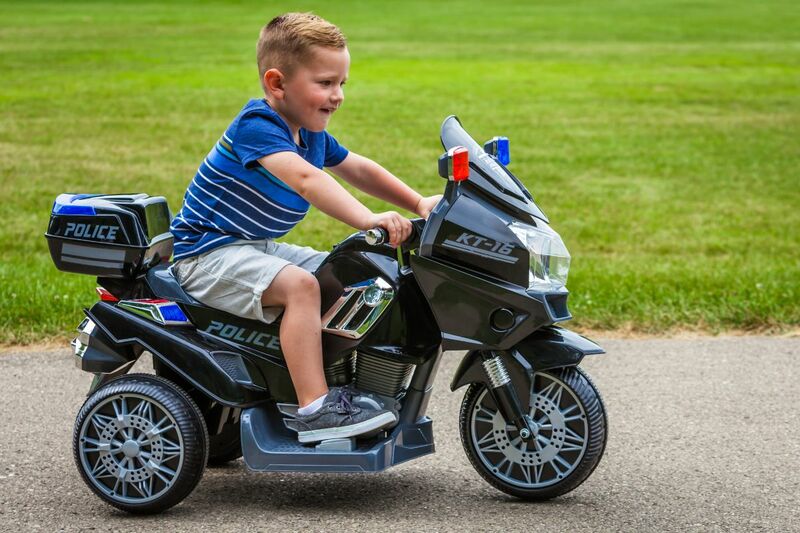 This battery-powered set of wheels features authentic flashing police lights, realistic emergency vehicle sounds and real foot pedal acceleration for the ultimate playtime experience. 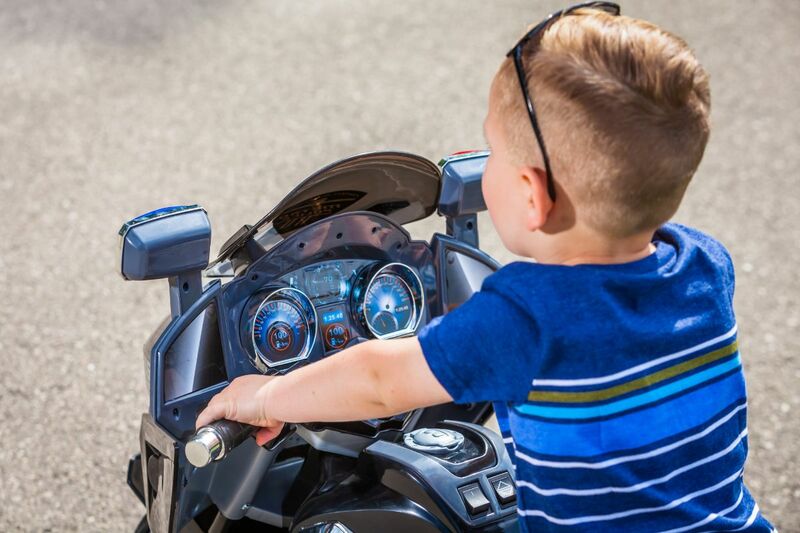 Power Trax rubber traction strip tires and rubberized hand grips help keep your little rider in control while patrolling the driveway. Need to recharge? 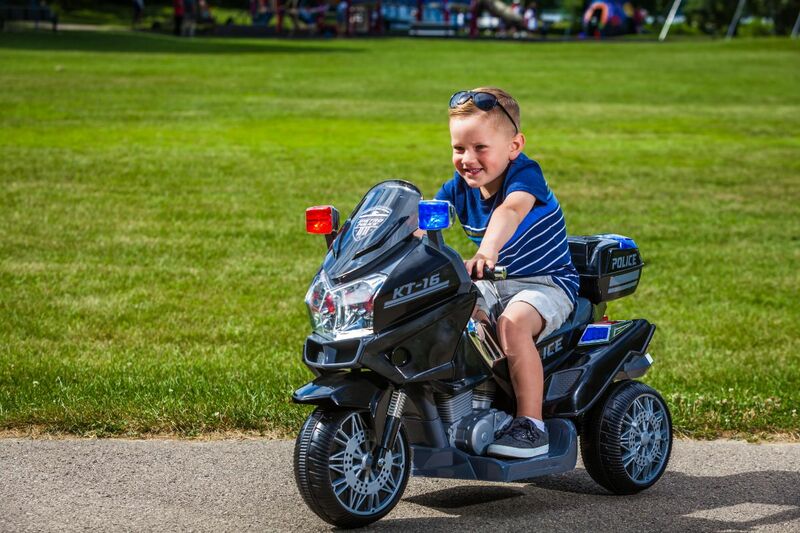 give your little officer a coffee and doughnut break with the included six-volt rechargeable battery and wall charger; it's Super easy to charge up Thanks to the direct connect charging system. 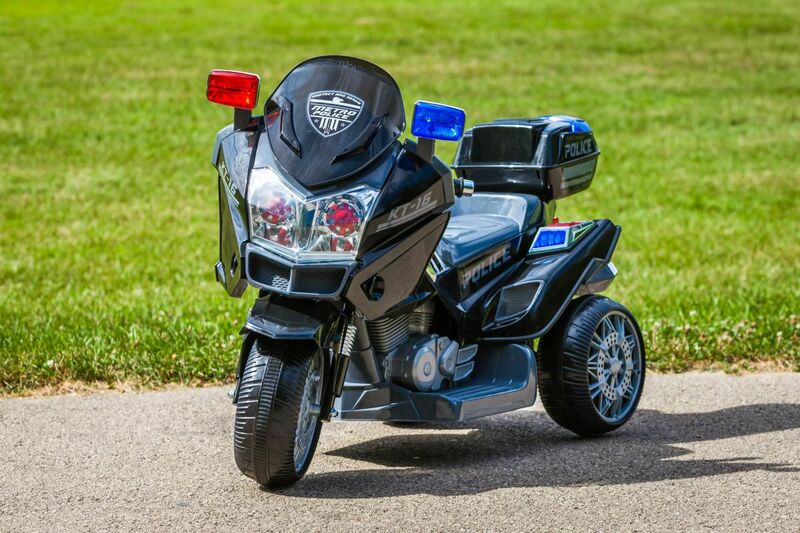 Designed for kids between three and five years old, this police trike has a maximum weight capacity of 60 pounds and a top speed of 2.5 miles per hour. 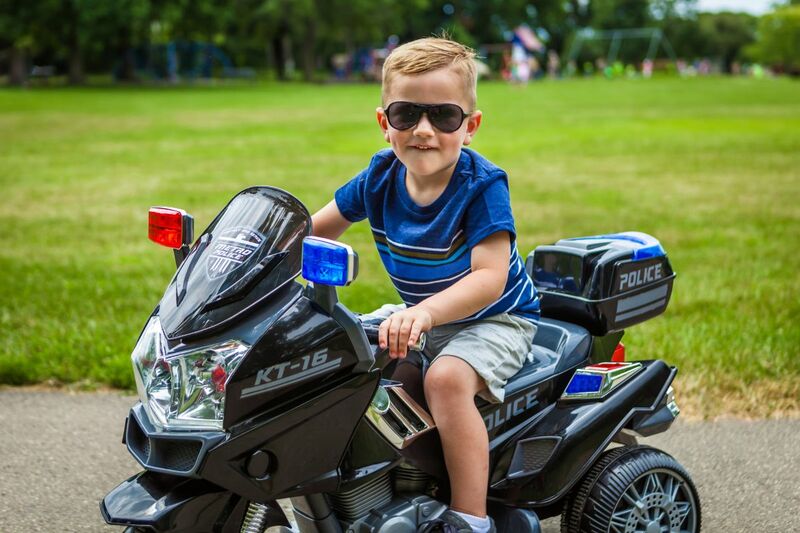 Crime never sleeps — help your little Sheriff keep the neighborhood safe! 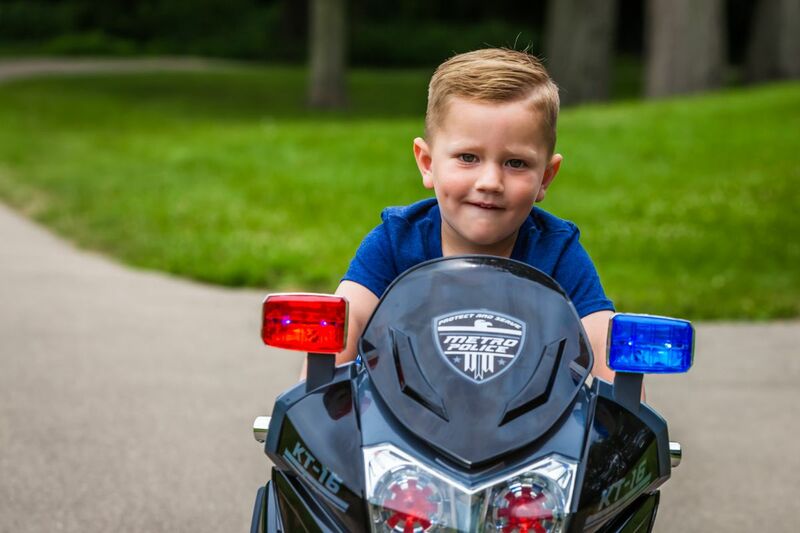 Authentic flashing police lights and realistic emergency vehicle noises bring playtime to life! 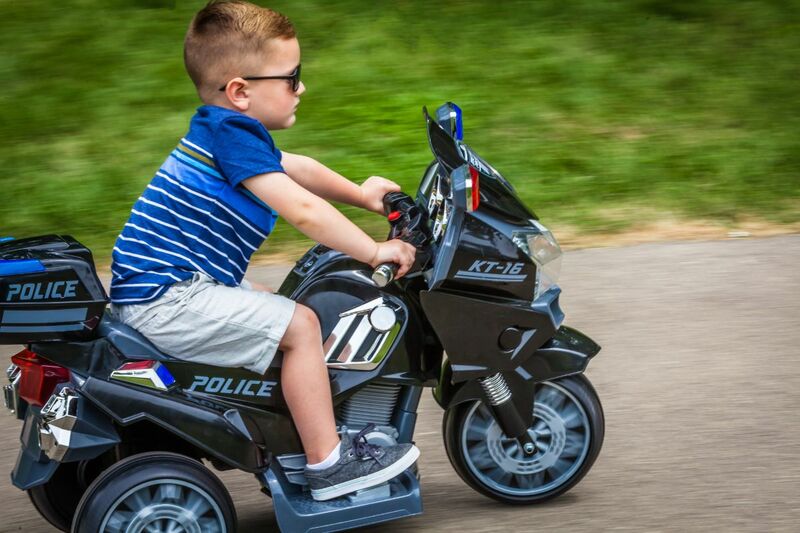 Sits one rider between the ages of 3 and 5 with a maximum weight of 60 lbs.